Chicken coop compost is nutrient rich and valuable if it’s processed properly. 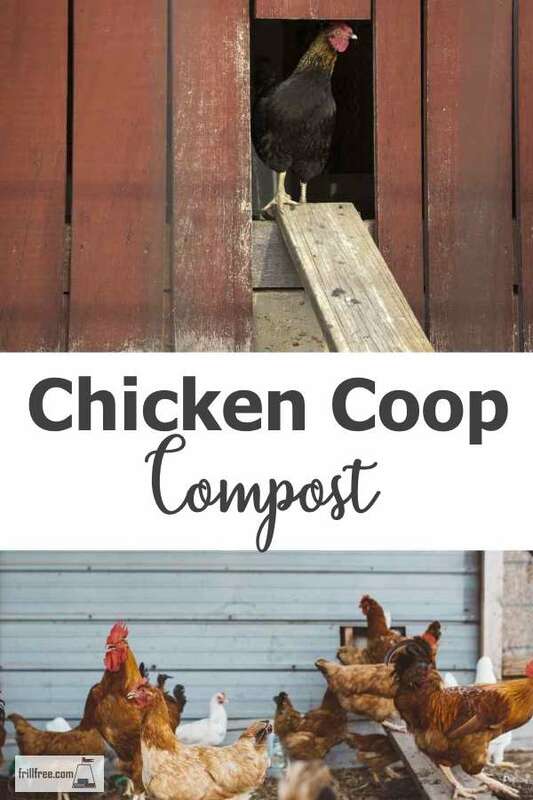 I raise my backyard chickens using the deep litter method which provides lots of great compost while providing several other benefits for the birds. 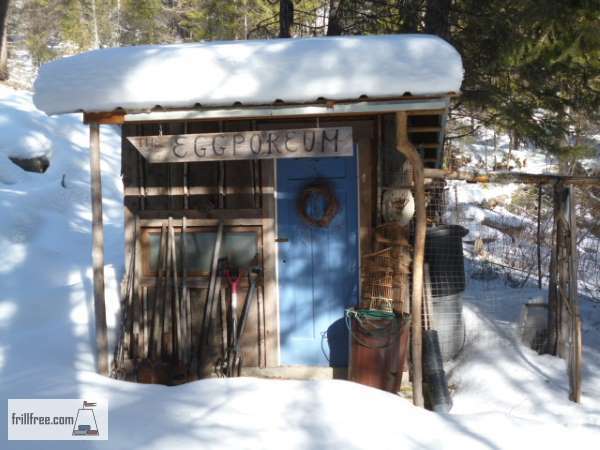 The chicken house I designed called The Eggporeum has a floor of native soil and the foundation is earth sheltered. 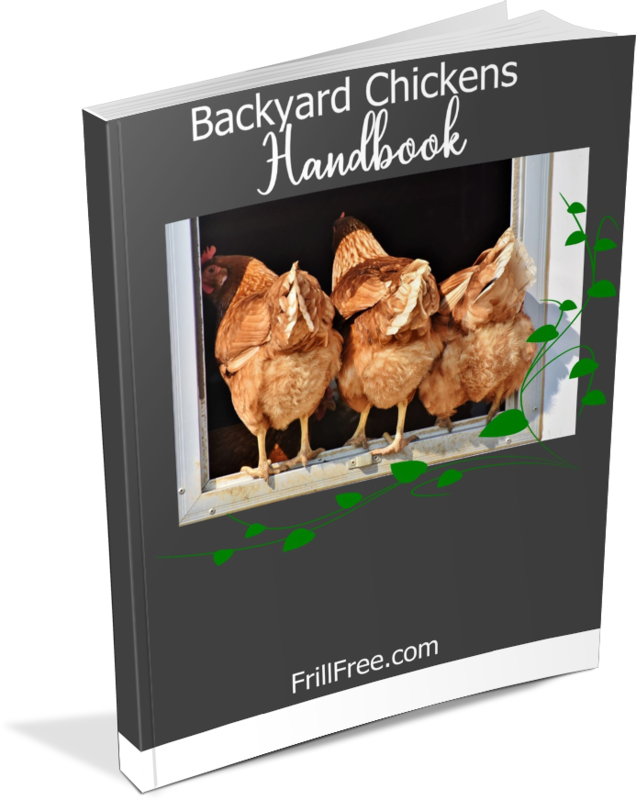 I recommend this system if you are going to build a backyard chicken coop; the benefits of having the soil subfloor are now recognized by many people raising poultry in a more natural fashion. The micorrhizae and soil fauna are so important to the health of your birds - in addition, they are also essential for breaking down the litter into compost that requires very little other than to be left to mature before use on your garden. The warmth of the litter starting to compost prevents it from freezing with the help from a 60watt bulb during the coldest parts of the season, and as birds produce a lot of heat themselves, it’s cozy and warm for them. In really cold temperatures, make sure you give them warm water to drink, and also warm mash – boiled potatoes, grains and kitchen scraps cooked together on the woodstove is a country living staple. The litter gradually builds up over the winter as you add more interesting things to scratch in; keeping them busy and active helps your birds avoid other issues like feather picking and cannabalism - two very complex and destructive vices that are mostly due to boredom. Keeping the chickens active and interested and most of all, calm, is the perfect way to get them to carry on the most important activity; laying eggs. I start with a deep layer of wood shavings from a local sawmill, and add several inches of dry leaves. These can be chopped with a weed whacker in a garbage can to break them down first, but it’s not essential as active healthy chickens will be happy to do that for you. The birds will scratch around in the litter and by the time spring comes your chicken house compost will be broken down to almost a fine powder. Adding hen scratch or other grain once in a while will encourage them to turn it over. I use a hoe to scrape off any crusted manure and mix it in, assisting in the drying process. Don’t allow the manure to accumulate in areas that are under a perch for instance, as it’s almost impossible to break apart the clumps once it’s dry. If at any point you notice a strong ammonia smell this means the process is failing. Simple to fix – just sprinkle some dolomite lime around and stir it in with the hoe. This will change the pH of the composting litter and it won’t smell. Ammonia build up in the winter when the house is closed can be quite unpleasant, as well as causing health problems for your birds. More ventilation will help too, as well as keeping the litter dry. It’s been said that the smell of manure is the smell of mismanagement, and I’m happy to say the deep litter method reduces the smell to almost nothing. In the spring, it's surprising how much the scraps, leaves and chicken pen litter have rotted down; as long as it stays unfrozen, the worms and other members of the micro herd stay active and busy. Chicken house compost is too strong to use right away, even composted unless you make a hot bed. It really needs to be aged for at least a year, or mixed with a high percentage of other organic matter such as leaves or wet straw and allowed to compost. Be careful with this, as it can get very hot! The nutrient value of chicken compost is the highest there is, but it’s also the strongest and can burn plants if placed too close to the stem. I recommend using it as a compost activator in your other bins, especially if they seem to be too slow - like many gardeners, I’m very impatient! 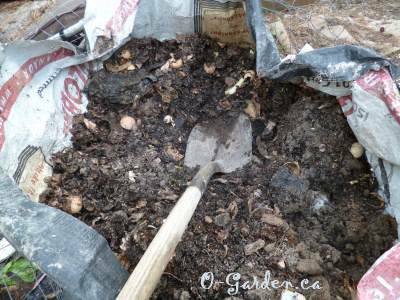 As a compost activator for other slowing piles that still have some composting to do, sprinkle a few shovels of the partially composted mixture of leaves, chicken manure and straw between layers as you turn the pile. This reinvigorates the micro herd, and gets them to finish the job. A bag of the partly aged compost in a burlap bag, immersed in a bucket of water makes great compost tea. Warning; this is most likely to smell quite strongly; keep it covered so interested pets stay away.